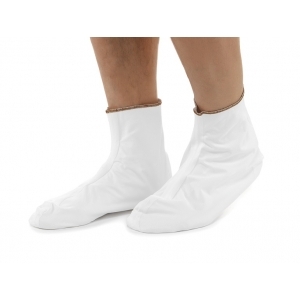 The comfort socks are part of the innovative DermaSilk line of therapeutic clothing, designed for people with skin diseases. All DermaSilk garments guarantee pure silk fibroin with permanent antimicrobial treatment in contact with the skin. Mycosis (e.g. athlete’s foot), Eczema/Atopic Dermatitis, Contact Dermatitis, dry, sensitive and easily irritable skin. Useful also for people who practise sports and who seek comfort and wellbeing, they favour the correct hydrolipid balance of the skin, keep the feet dry, and avoid the uncontrolled proliferation of fungi and bacteria, which cause superinfections and unpleasant smells.